Roasted veggies have never tasted so indulgent. Topped with an herbaceous tahini sauce and salty-sweet, caramelized dates and walnuts, these crispy cauliflower steaks are just the veggie side that you've been looking for. Use any leftover tahini sauce on salads, chicken, or fish for an added burst of vibrant, nutty flavor. Light, fresh, and deliciously dynamic--this easy-to-make, vibrant salad is the perfect guilt-free meal for two. The flavoful homemade Arugula Pesto featured in this recipe comes together in a flash, but you can definitely substitute in a couple tablespoons of your favorite store-bought, prepared pesto if you're in a hurry. The recipe below yields about 1 cup of pesto, so you will have plenty left over to spruce up other meals during the week. Try spreading it over your favorite grilled protein, topping a pizza with it, or even enjoying it on a slice of hearty, whole-grain toast. Plan ahead for your large holiday get-togethers by choosing easy side dishes that will feed a crowd of hungry guests.Take Brussels sprouts, for instance. Excluding salt and cooking spray, this recipe calls for just seven ingredients. Often simplicity is the key to making vegetables taste great, and this dish is no exception. The combination of buttery Yukon gold and fluffy baking potatoes offers richness and a nice contrast both in flavor and texture for this lightened potato casserole. This moist, sweet-savory side dish is a cross between corn bread and corn pudding and is a perfect side dish for ham or roasted turkey at your next holiday meal. This seasonal fall rice dish featuring roasted butternut squash makes a satisfying side dish for roasted turkey, roast beef or ham, but it’s hearty enough to be a main dish, too. You can make it a meatless dish by leaving out the pancetta and using vegetable broth in place of the chicken broth. 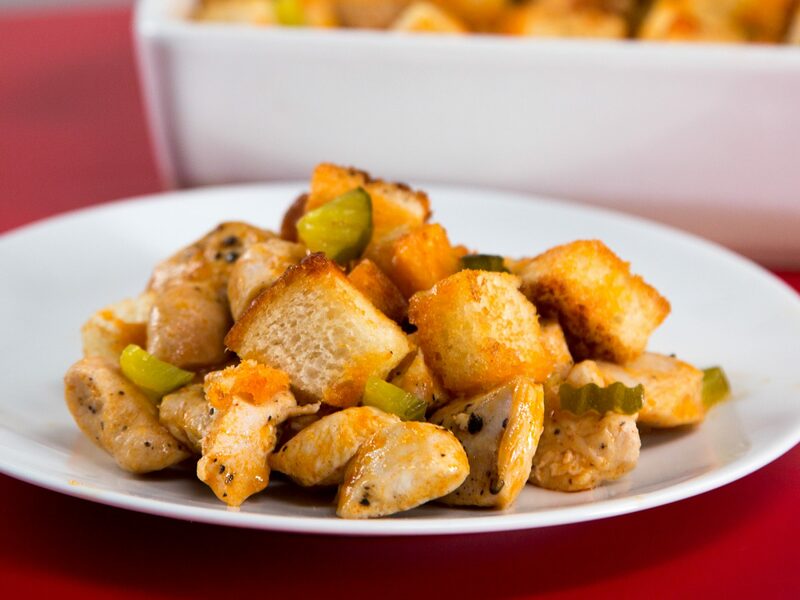 Increase both the color and the flavor of your cornbread stuffing by adding cubed butternut squash, sweet potato, and Granny Smith apple. While rice dressing may be officially a side dish, this one is filled with cubed banana squash, Italian sausage, frozen chopped spinach and currants and is hearty enough to be a main dish. This simple side is a classic crowd-pleaser. Toss cooked green beans with shallots, lemon juice, salt, and pepper, and top with crumbled bacon. Springtime is the right time for finding sweet baby beets and carrots in the market. Look for small, firm beets and slender carrots with their bright, feathery greens still attached--a sign of freshness. Esquites is a cousin to elote--that street food favorite of creamy cheese-coated corn cobs. You can also find this off-the-cob version with Mexican street food vendors. It's great on its own or served as a side dish with grilled meats. Honey amplifies the natural sugars of the caramelized vegetables in this hearty side dish. Instead of serving plain steamed rice with your holiday meal, impress your guests with tasty skilled-cooked rice cakes flavored with bacon, onion and almonds. They are a nice way to add an easy touch of sophistication to your holiday meal. This hearty stuffing is chock full of vegetables, pecans, and dried cherries and apricots. 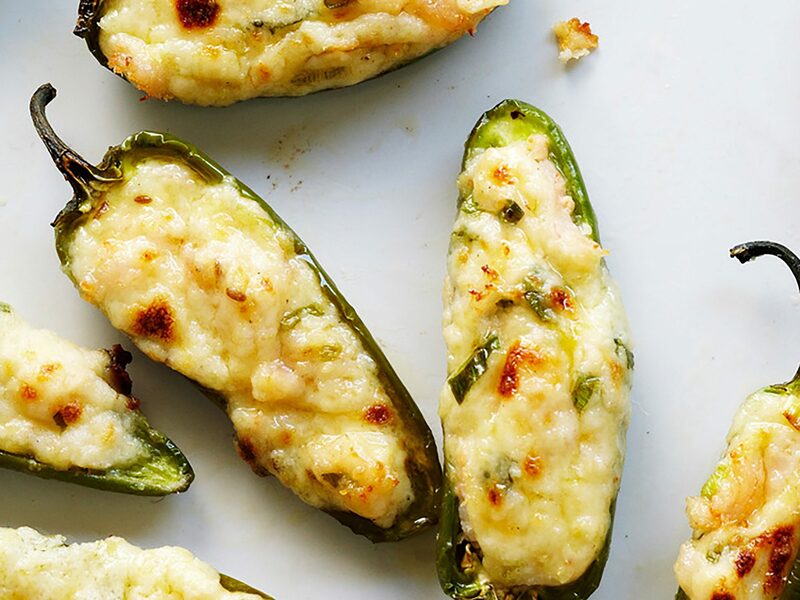 The sweet-and-savory combination is a sure crowd-pleaser, and stuffing is an easy side to make for large groups. 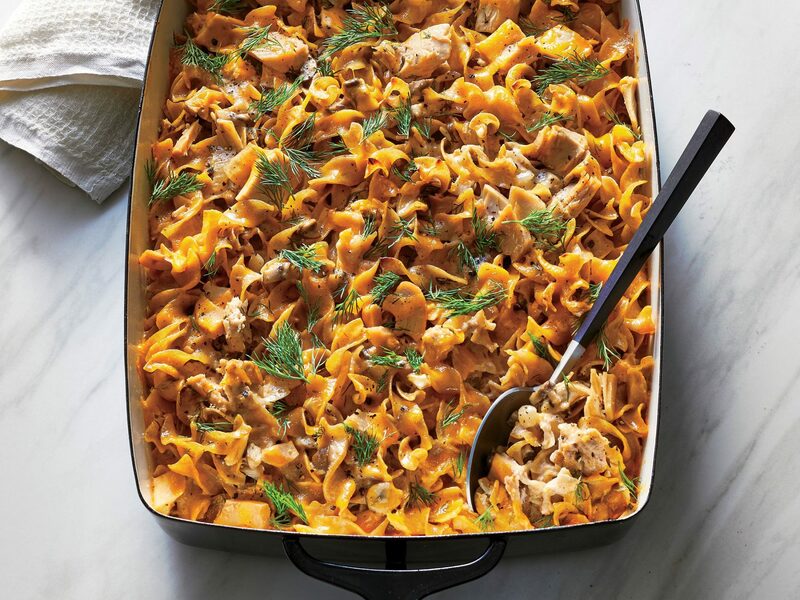 This casserole is so delicious, even the kids are sure to gobble it up. Plus, it's incredibly easy and requires just seven ingredients, making it an excellent option for last-minute fare. Mashed (or whipped) white potatoes and sweet potato casserole are both classic holiday sides, but what about whipped sweet potatoes? This side features the traditional sweet potato casserole flavors of cinnamon, nutmeg, allspice, and brown sugar, yet it calls for whipping the potatoes with an electric mixer and topping with a hazelnut streusel. It's the best of both worlds! 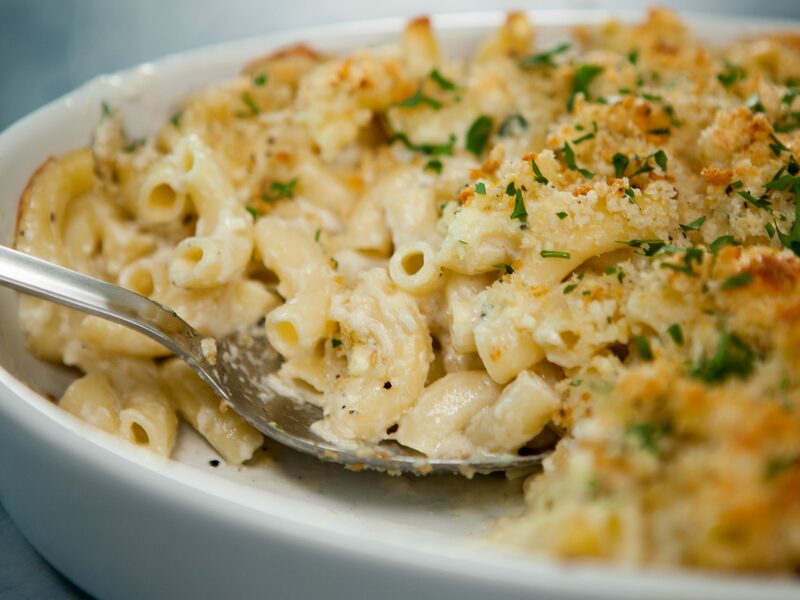 Macaroni and cheese may be humble, but it sure is loved by all. 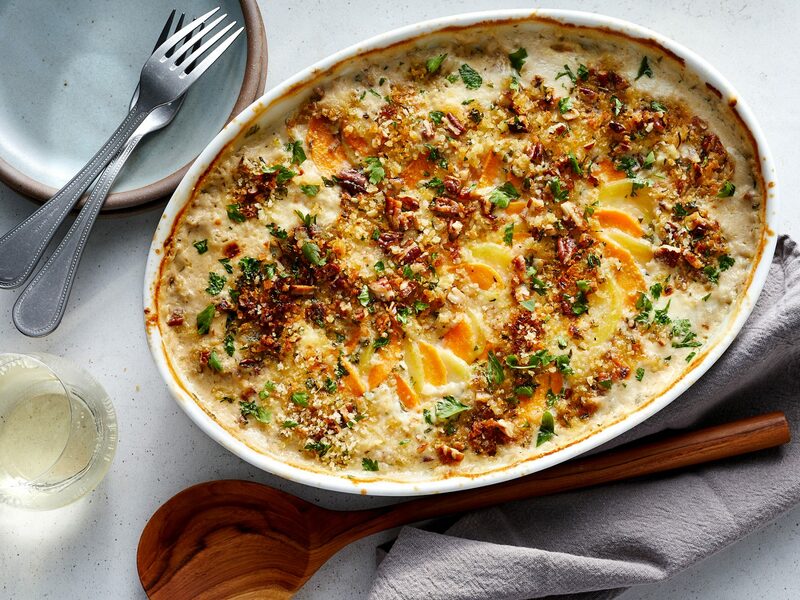 This creamy version gets its incredible texture and flavor from four different types of cheese: Emmenthaler (or Swiss), Parmesan, Gorgonzola, and cheddar. Break out of the green bean casserole rut with this fresh-tasting combination of carrots, parsnips, turnips, Brussels sprouts, shallots, and onion. A homemade pesto really pulls all of the flavors together and takes this dish from ordinary to extraordinary. Dress up classic roasted potatoes with an easy, make-ahead yogurt sauce. 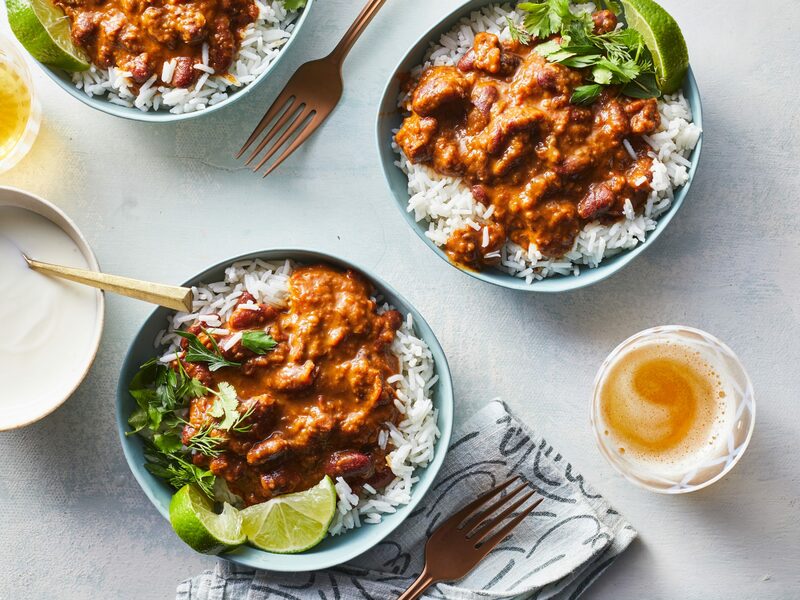 This side goes well with just about anything and is perfect for casual weeknight meals and fancy holiday dinners alike. 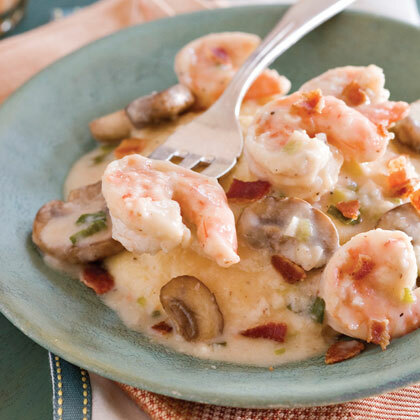 While wine is a common addition to pan sauces and beer finds its way into everything from fondue to quick breads, it's not often that Champagne gets a chance to shine in a recipe. Here, it brightens up plain risotto and complements the radicchio well. Chicken broth, yellow onion, Parmigiano-Reggiano cheese, salt, pepper, and nutmeg add complexity and flavorful depth to the dish. Cube the bread a day or two ahead and leave it out on the counter to dry, so it will fully absorb the flavors of the dressing. (If you forget, you can dry it in a 375° oven for a few minutes.) For a moister dressing, use the larger amount of broth. 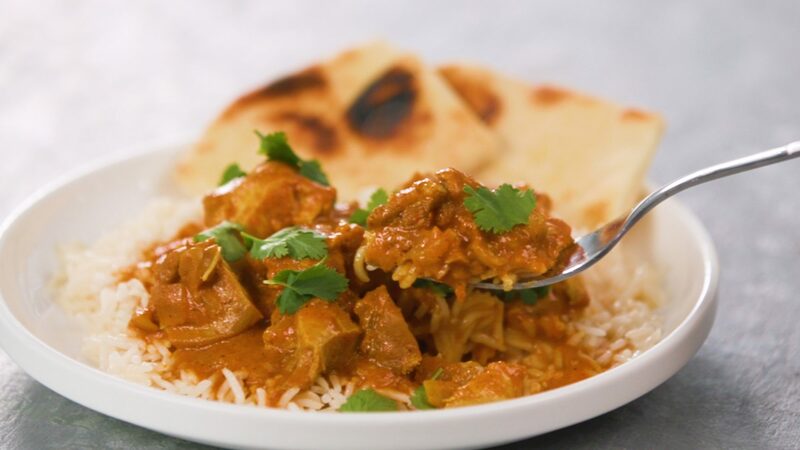 This makes a good main dish for vegans (use kosher rye, which excludes dairy). But it's good with sausage too; add about 1 pound, casings removed, browned and crumbled. These potatoes deliver the best of both worlds: creamy, starchy center and crisp, golden edges. To smash, place the back of a wide spatula over each potato, and then press with the heel of your hand.